Another security discussion. 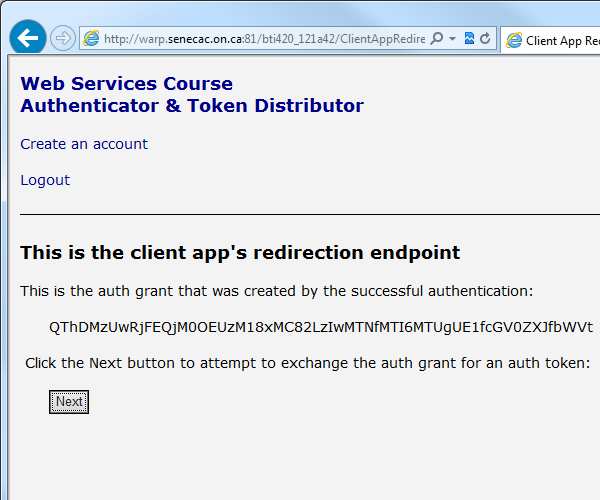 Using OAuth in our web service. Should I implement HTTP Basic Authentication in my web service? Why? It requires the requestor to send their credentials with the request. That’s a problem. Don’t send credentials with the request. Instead, send an access token. An access token is a digital asset which represents the right to perform a task. 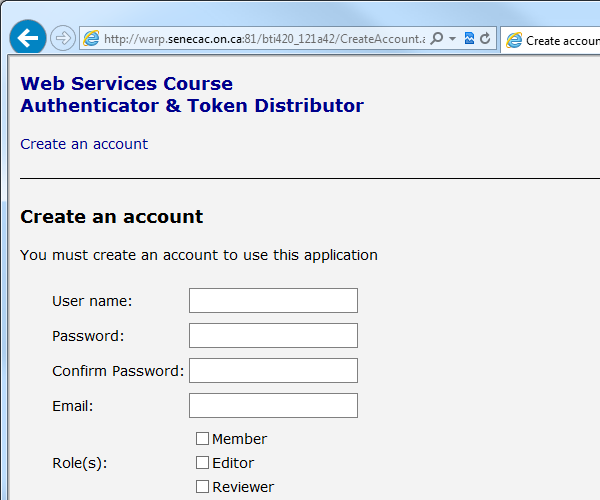 It is generated when a requestor authenticates, and then is used to authorize access to a resource. Authentication – sometimes abbreviated to AuthN – the process of presenting credentials that prove your identity. 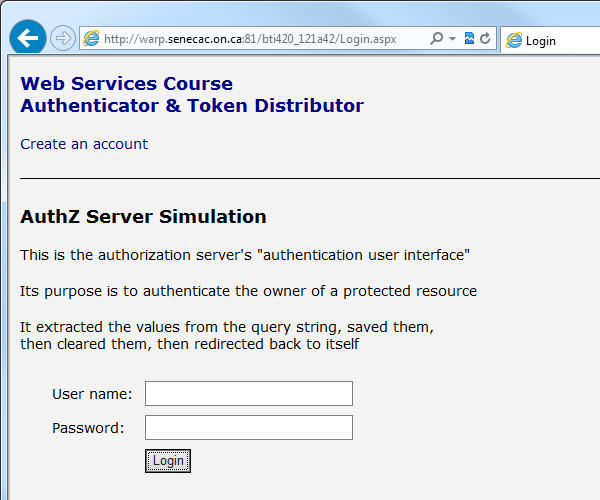 Authorization – sometimes abbreviated to AuthZ – the process of determining whether a resource can be accessed. An access token does NOT include credentials in any form. An access token has a limited lifetime (although it can be refreshed). There is no ‘standard’ format for the content of an access token. A requestor obtains an access token after authenticating. A resource server can ask (must ask!) the issuer whether the token is valid. The access token is the digital asset that’s used to authorize access to a web service resource. Today, we will look at the second approach, by studying the OAuth Authorization Framework. OAuth is an open framework for authorization, and is fully described in RFC 6749. It enables a person to authorize an app to access the person’s resources, without giving the app their credentials. That’s the key benefit. It is not an interoperable protocol. So it will never be a ‘standard’. It is not inherently secure. However, a developer who understands security principles can implement security. It was designed just before the mobile device and modern web app revolutions. As a result, it’s too browser-centric (but as you’ll see, it can be adapted and used). However, despite these important criticisms, it’s widely used, and its goals offer promise for the future. Therefore, we’ll study it. Read and study the web service security principles document before continuing below. Your professor has created a web app that will help us implement OAuth, and use this infrastructure 1) in our web service and 2) during testing (with, for example, Fiddler). 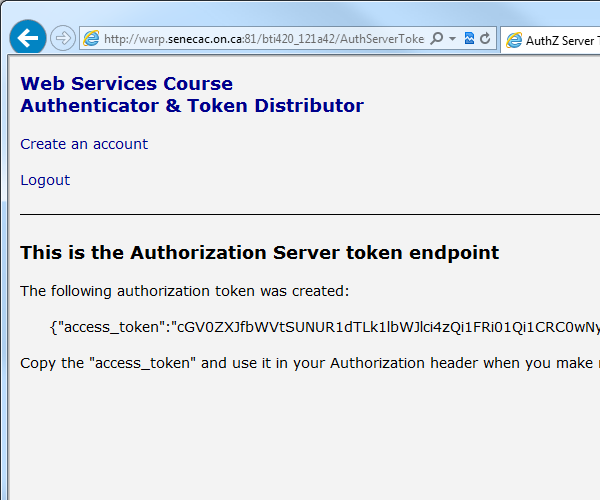 The professor’s web app implements the authorization server role. Before you can use the app, you must create an account. Click the link to do so. After creating an account, you are returned to the start screen. Notice the ‘client app identifier’. It is hard-coded into the web app. It’s the only client app that has had an account created for it. After login, you are taken to the ‘client app redirection’ page. At this point in time, an authorization grant has been successfully created. If you are writing your own client app, which will send requests to a web service on behalf of users, then you will need to add some functionality to that client app, which will enable the user to obtain an access token. 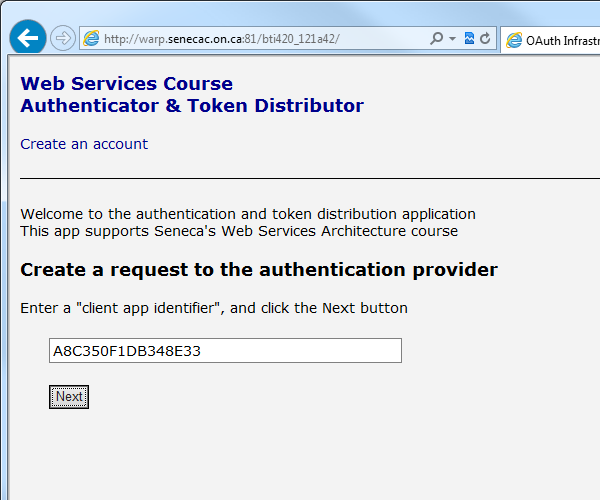 Today’s web service code example is named SecurityUsingOAuth. Get it from the code example repository. It implements the resource server role that’s described earlier. The code is similar to the first security-themed example, but the authorization handler is different. The handler in the code example calls the professor’s web app, specifically the token validation endpoint. If the token is valid, a plain text (Content-Type: text/plain) response is generated, with the body message “valid”. However, if the token is invalid, the response body message is “invalid”.